Glen 0' Dee Hospital has had a varied existence since it opened on Christmas Eve, 1900, as the "Nordrach-on-Dee" private tuberculosis sanatorium - named by its founder Dr David Lawson in honour of the sanatorium at Nordrach in the Black Forest, Germany, where the open-air treatment of tuberculosis had been pioneered. The sanatorium, built at a time when TB was the biggest killer in Britain, soon gained a reputation for original and successful new treatments and was extended to allow the hospital to increase its patient intake from 36 to 75. Glen 0' Dee was one of the first sanatoriums to use X-rays in the diagnosis and treatment of TB and had its own laboratory and X-ray department. Following the First World War, demand dropped as TB began to be successfully treated, and the sanatorium finally closed its doors in 1928. 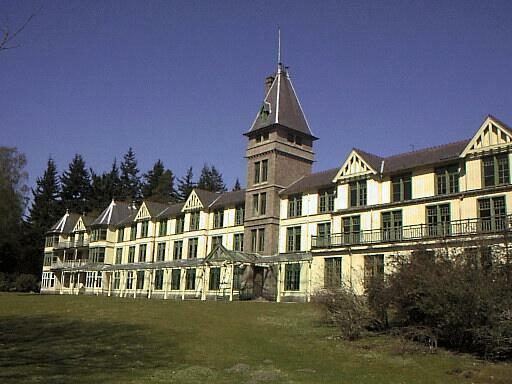 Six years later, in 1934, the building was reopened as the "Glen 0 Dee" luxury hotel. 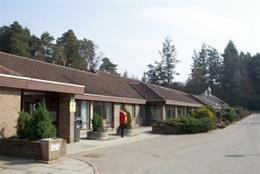 A contemporary report states, "The Royal Deeside Hotel is in every way a perfect holiday centre. For sportsmen too, who are attracted by moor or river, it is an ideal centre. Within the grounds are secluded walks, a mashie course, putting greens and facilities for lawn games; tennis, bowls and all facilities for shooting and fishing. The winter climate is unusually mild." During the Second World War the hotel was requisitioned by the army and used to billet troops. After the war the building was purchased by the Scottish Red Cross Society and refitted as a sanatorium for ex-servicemen and women suffering from TB. It was transferred in 1955 to the NHS, becoming a convalescent hospital. Glen 0' Dee briefly returned to its role as a sanatorium during the Aberdeen typhoid epidemic in 1964, but finally closed as a hospital in 1989.